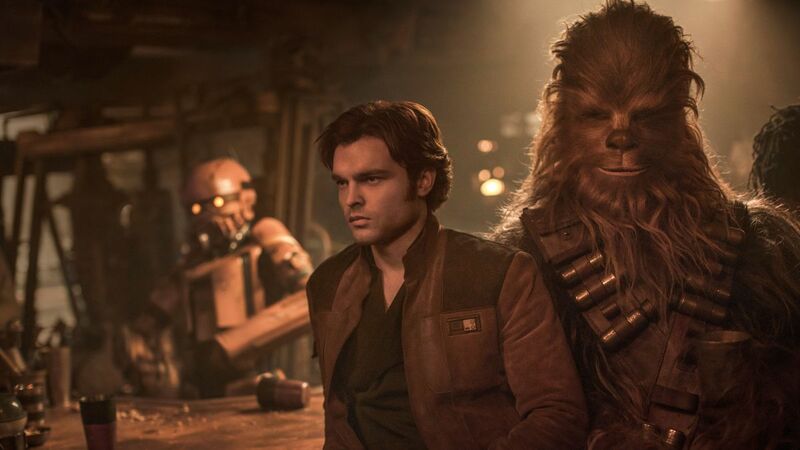 Solo: A Star Wars Story has been nominated for the Oscar for Best Visual Effects! This comment was posted to reddit on Jan 22, 2019 at 8:39 pm and was deleted within 17 hour(s) and 56 minutes. The “fans” out there brigading SW are hurting the brand. Who cares about the brand, for heavens sake? Liking a movie doesn’t make you a shareholder. Hot take: Star Wars is useless after Return of the Jedi. I’m not a “fan” of mediocrity being set into perpetuity just because Disney wants to cash out. Watch whatever you want, enjoy whatever you enjoy, but don’t go around worrying about the brand. How ridiculous. The brand should have been left behind in 1983, just as much as Flash Gordon was left behind. Imagine if the resources that go into these new Star Wars movies were put towards literally anything else other than adding infinite backstories to something that didn’t need backstory? Hayden Christensen and Ian McDiarmid reunited at SWCC today! I have never seen so many people comment that they're not going to watch something they don't care about So with L337-bot I've got something to say~ I just rewatched The Last Jedi Why do people want Star Wars to crash and burn? I want to get into the Star Wars lore. Where should I start? How do you want IX to tie into the Prequels? ”Luke felt responsible. He just...walked away from everything.” [SPOILER] One thing I have a problem with in TLJ [SPOILER] One thing I have a problem with in TLJ A non-canonical comic revolving around the Jedi Order never being destroyed and Order 66 never happening would be amazing. Despite TLJ having its issues, this image gives me so many feelings. Adam Driver on the Prequels Star Wars Episode 9 [Spoilers] 'The curse of the ninth' is a superstition held in the world of classical music, which says that composing a tenth symphony is to 'tempt fate'. John Williams has said he will not return for a 10th Star Wars score, saying 'nine is quite enough for me', but also as a nod to this notion.